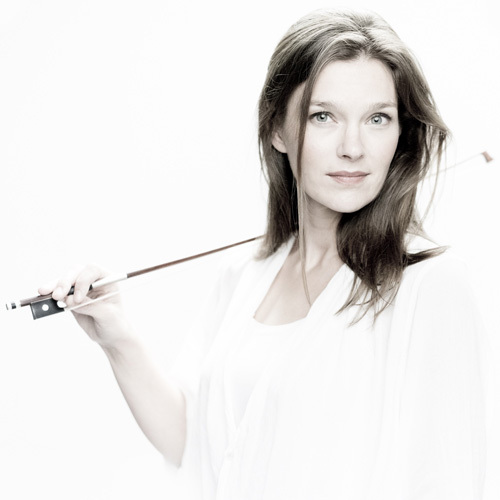 Violinist Janine Jansen has been selected as the recipient of this year’s Johannes Vermeer Award, the Netherlands’ annual state prize for the arts. The jury, chaired by Els van der Plas, voted unanimously to nominate Janine Jansen for the phenomenal way in which she shapes her performing artistry. Her musical interpretations are brilliant and invite unanimous admiration and respect from her audiences and fellow musicians. The jury expressed praise for her international career, which testifies to her sincere and total surrender to the music. Minister for Education, Culture and Science Ingrid van Engelshoven presented the award on Monday 29 October 2018 in the Ridderzaal in The Hague. The Johannes Vermeer Award is the Dutch state prize for the arts. It consists of the sum of 100,000 euros, which the winner may use to fund a special project in his or her specific field. The Dutch government established the award in 2009, its aim being to honour and encourage exceptional artistic talent. The award is intended for artists working in the Netherlands and across all disciplines. Previous laureates are opera director Pierre Audi, filmmaker and writer Alex van Warmerdam, photographer Erwin Olaf, visual artist Marlene Dumas, architect Rem Koolhaas, graphic designer Irma Boom, composer and director Michel van der Aa, film director visual artist Steve McQueen, and fashion designer Iris van Herpen.